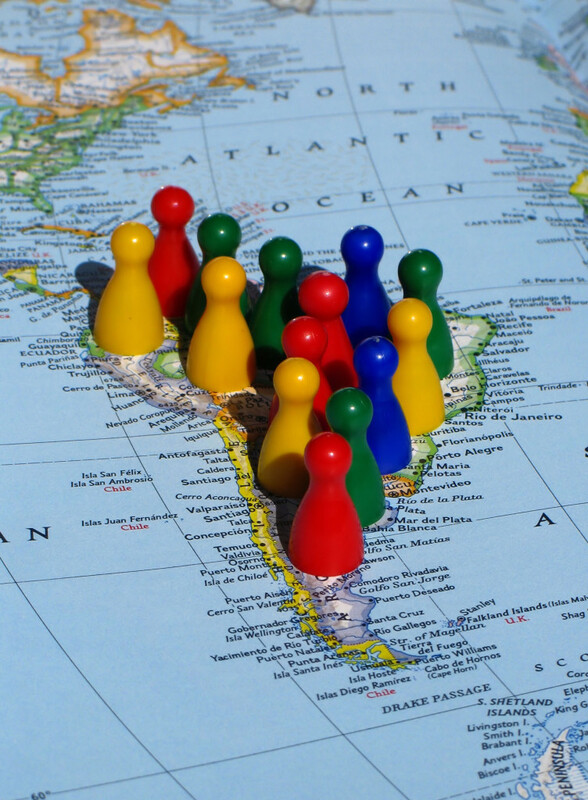 | Are all Latin American Left Wings the Same? Are all Latin American Left Wings the Same? You may think that the answer is “yes,” that their speeches always speak of “socialism,” of “the power of the people,” of the ” rich and poor. ” However, a study by the University of the Andes in Colombia found some interesting differences. It measured the relationship between a personalistic style of government and the level of approval of the presidency in the region. Among other things, the study found a crucial difference between the Latin American left wings. Although their speeches sound the same to many, they are actually very different. Throughout the world, debates are waged over whether the state should intervene more in the economy. There are socialists who say that the root of all evil is the free market. Others believe that the problem is too much intervention with the poor and the bureaucracy. It is true that there are some who break this consensus. Latin American presidents such as Maduro, Correa, Morales and Kirchner do not stop at debate–they also create profound conflicts with the opposition. They become argumentative and end up attacking institutions. But this does not mean that the entire Latin American left is this way. The biggest moral blow to these authoritarian presidents is not from the right, but rather from the democratic left, itself. This tends to draw attention to the least favored. It encourages the seeking of equality among persons, and greater sensitivity towards the environment. Meanwhile, the right reminds us that idealism is not enough to construct the future. An understanding of market logic and of the nature of the modern economy are necessary. Today we have all kinds of combinations and we cannot divide them drastically. There are leaders of the left who are conscious of market logic, and leaders of the right with very responsible social and environmental policies. There is no need to view these differences as a conflict, as a human defect, but rather as a debate that enriches our decisionmaking. The only flags that should not be lowered are those of freedom of expression and the opportunity to participate equitably. And not all Latin American left wings deny them. The governments of Uruguay and Venezuela could be viewed as comparable because of their popularity and appeal. However, ex-President Mujica handled democratic institutionality quite differently. A libertarian such as Gloria Álvarez can discuss her proposed reforms to the justice system and communication media, but it is undeniable that the Uruguayan ex-president did not attack democracy as did the Venezuelan government. President Michelle Bachelet also exemplifies a left wing that respects institutions. She has promoted social policies such as education without having to set the stage on fire with her opponents; unlike in Ecuador, where President Correa’s governing style has been deeply polarizing with media and the opposition. It is very important for us Cubans to understand this. To achieve a new democracy in Cuba, it will be necessary to build bridges with the left and the right; to drink from both cups; to listen to each group and individual and see how they can enrich us; to renounce authoritarianism and promote peaceful debate. It will not be hatred of the left, but rather love for demoncracy, which will bring Cuba back. “Thanks to this method of mediation, we demonstrate that there exist distinct repertoires of action within the personalistic style of government that would not permit referring to the so-called Latin American ‘new left’ as a homogenous group of leaders. Presidents such as Hugo Chávez and José Mujica share an ideology and the establishment of an emotional relationship with the electorate. “However, they are separated by their relationship with democratic institutionality. The first modified the institutional frame according to his political agenda, conentrating power in the person of the executive. The second has governed tied to an institutionality that transcends the person of the president. Now, it is presidents such as Hugo Chávez and Álvaro Uribe who, despite the ideological breach that divided them, ended up as brothers insofar as their style of governing: emotionally close to the electorate, and marked by some authoritarian hues.